We’d love your help. Let us know what’s wrong with this preview of Pilate's Wife by Antoinette May. To ask other readers questions about Pilate's Wife, please sign up. Okay, if this woman did so much historical research why does she get the small things wrong? Stuff like the old chestnut about "thumbs down" meaning to kill the losing gladiator, when modern scholars are pretty sure it's the opposite? She even gets the way Roman names were used wrong--she uses "Procula" as if it were a last name! Pious Christians will recoil at her Mary Magdalene as Jesus's wife bit, but what bothers me more is the way she picks and choses her history and invents bits to fit her Okay, if this woman did so much historical research why does she get the small things wrong? Stuff like the old chestnut about "thumbs down" meaning to kill the losing gladiator, when modern scholars are pretty sure it's the opposite? She even gets the way Roman names were used wrong--she uses "Procula" as if it were a last name! Pious Christians will recoil at her Mary Magdalene as Jesus's wife bit, but what bothers me more is the way she picks and choses her history and invents bits to fit her plot. And Claudia herself is not a consistent character--one moment she is a determined young woman, the next a fluttering ninny. I thoroughly enjoyed the history in this book--it pieced together some religious events for me that were previously vague. I think this book is about 80% historically accurate--the story created around it is a little weak, but interesting nonetheless. Claudia, the main character, is the daughter of Roman Empire royalty. She posesses the gift of "sight." Claudia's visions range from vividly detailed and informative to almost nonexistent, and the changing level of detail in places and characters gi I thoroughly enjoyed the history in this book--it pieced together some religious events for me that were previously vague. I think this book is about 80% historically accurate--the story created around it is a little weak, but interesting nonetheless. Claudia, the main character, is the daughter of Roman Empire royalty. She posesses the gift of "sight." Claudia's visions range from vividly detailed and informative to almost nonexistent, and the changing level of detail in places and characters give Claudia's world a similar sense of contrast between great detail and sketchy unreality. She appears in just a single verse of the Bible, but it's a riveting inflection point, a moment that dares us to imagine that events might go either way: Jesus stands before Pontius Pilate. The leaders of the Temple have accused him of treason and want him crucified, but Pilate is wavering. Then the Gospel of Matthew adds this tantalizing detail: "When he was set down on the judgment seat, his wife sent unto him, saying, Have thou nothing to do with that just man: for I have suffered many things She appears in just a single verse of the Bible, but it's a riveting inflection point, a moment that dares us to imagine that events might go either way: Jesus stands before Pontius Pilate. The leaders of the Temple have accused him of treason and want him crucified, but Pilate is wavering. Then the Gospel of Matthew adds this tantalizing detail: "When he was set down on the judgment seat, his wife sent unto him, saying, Have thou nothing to do with that just man: for I have suffered many things this day in a dream because of him." The psychic wife of a Roman governor tries to stop the crucifixion of Jesus? Sounds like a plot that would make Dan Brown fall to his knees and cry "Hallelujah!" It's the inspiration for biographer Antoinette May's first novel. She's fleshed out a few scraps of Coptic legend to create a breathy romance about Pilate's wife. May imagines her as a young woman named Claudia, whose father serves a powerful commander of the Roman army. She's also a distant member of the emperor's family, which during this period -- the reign of Tiberius and his fiendish mother -- is more of a death sentence than an honor. "First, let it be said that I did not attend his crucifixion," Pilate's wife begins. "If you are seeking insight into that tragic affair, you will not hear it from me." This is like sitting down with a survivor of the Titanic who announces that she has nothing to say about the sinking, and for hundreds of pages it appears that May, in fact, won't get to the Big Moment. In a voice that swings from melodrama to self-pity, Claudia begins with her life as a military brat. This is about as rich as material gets: the world's superpower crushing all who resist, gladiators fighting to the death, young Caligula showing signs of lascivious madness, the emperor's mother snuffing out contenders for the throne. But May seems strangely unwilling to let us enter this raw, ancient world. Despite Claudia's bird's-eye view, we often learn of deadly battles via notes sent from the front line. Where we want bacchanalia, we get Victorian exclamations of shock: " 'Oh!' I gasped, my cheeks flaming as I stared at his naked body." And the book's chronic lack of irony makes Claudia's heavy-handed feminist insights particularly grating. Watching 800 slaves rowing her boat, for instance, she says, "I saw similarities between their lot and my own. No overseer lashed my shoulders, but was I any less a slave?" Well, Claudia, you might try asking one of them before he's whipped to death. Much of this has the earnestness of a school-approved YA novel: "Oh, little sister, what will they do to me?" Release the lions, I say. Still, the faithful read on, encouraged by the sighting of an ambitious officer named Pilate -- "sleek and handsome like a young leopard." Although he's looking for a woman with a large dowry, Claudia snags him with a magic serum. "The potion had worked beyond my wildest dreams," she says, and maybe circa 27 A.D. she was the first person to use these clichés. "We were a golden couple. What could ever change that?" In fact, their marriage is quickly wracked with jealousies and betrayals on both sides. In search of solace, she becomes a follower of the Egyptian goddess Isis, which inspires some exciting scenes but also too many New Age howlers such as: "Isis is for everyone. . . . We are all part of each other like leaves in some giant tree." In any case, neither Claudia's feminism nor her spirituality keeps her from jeopardizing her life by panting after a hunky gladiator because he's "so, so . . . masculine ." If the bulk of this Roman romance is merely overwrought, its long-delayed climax is surprisingly offensive. Many scholars suggest that the exculpatory portrayal of Pilate in the New Testament arose from the early Christians' desire to curry favor with Rome and distinguish themselves from other Jewish groups. And so the Gospels show us Pilate, the representative of Rome, reluctant to condemn Jesus, convinced of the man's innocence, disgusted with the Jews' hatred, determined to wash his hands of the whole dirty business. All leading up to that horrible verse in Matthew when the Jews yell, "His blood be on us, and on our children." Throughout the novel, May presents a wildly unorthodox version of Jesus's life: Her Jesus studies in the temple of Isis; he marries a rich prostitute in an ecumenical wedding that blends Egyptian and Jewish traditions; he's given a sleeping potion to fake his death on the cross. Of course, such inventions are all within the novelist's right -- as someone once wryly asked, "What is truth?" But when it comes to Jesus's trial, May suddenly gets religion and hews to the few blood-soaked Gospel verses that have served as the bedrock of Christian anti-Semitism for 2,000 years. Again and again, May exonerates Pilate to remove any doubt about who murdered the son of God. "Clearly, Pilate was the one reasoning mind against a rabid mob," Claudia tells us -- despite the fact that she's estranged from him and sleeping with another man. Long before Mel Gibson clarified his attitudes about Jews during that infamous traffic incident, he noted that the apparently anti-Semitic statements in his "Passion of Christ" were merely lifted verbatim from the Bible texts. But May takes such license with those texts throughout most of her story that she has forfeited even that specious defense of her conclusion. And so we're left to wonder why a writer would want to resurrect this deadly old prejudice. Last month I did a reading at a library in Sonora , CA and Antoinette May was the reader who preceded me. I was impressed by the number of years she spent researching Roman history and culture. I am interested in knowing about the cultural context in which Christ began his ministry and this seemed to fill the bill. May uses restraint in her descriptions of Goddess worship, weaving it through a storyline rich in political and family history. Christ appears toward the end of the story as just anot Last month I did a reading at a library in Sonora , CA and Antoinette May was the reader who preceded me. I was impressed by the number of years she spent researching Roman history and culture. I am interested in knowing about the cultural context in which Christ began his ministry and this seemed to fill the bill. May uses restraint in her descriptions of Goddess worship, weaving it through a storyline rich in political and family history. Christ appears toward the end of the story as just another diety on the menu, one with a promising albeit perplexing message. As troubling as that might be to Christians, keep in mind that the story is written from the point of view of a high born Roman woman surrounded by treachery who finds solace in Isis. The challenge for me was the literary license, a historical fiction author’s right, that had Jesus’ mother Mary and follower (and wife, by this account) Mary Magdalene dabbling on the fringes of Goddess worship. May has sympathy for all her characters except history’s most corrupt. The story is engaging but it left me shaking my head over the portrayal of Christ dallying with a new wife shortly before He goes to the cross. May has examined all the myths surrounding Christ’s birth and death and picked the ones that work best for storytelling. They don’t necessarily square with the Biblical account. I did find the account of Jewish religious and political life interesting, particularly the commentary on the Zealots. An exploration of Pilate's wife and the role of women in Ancient Rome seems like an interesting and engaging story. However, with Antoinette May it is not. May starts if her story strong, introducing us to our main character Claudia, a Roman patrician upon whom the gods have bestowed the ability to foresee the future. We follow Claudia throughout her life in the Roman Empire, a journey which shows us how women both with and without power cope with Roman society. 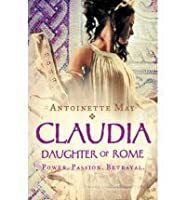 Ultimately leading to Claudia's fai An exploration of Pilate's wife and the role of women in Ancient Rome seems like an interesting and engaging story. We follow Claudia throughout her life in the Roman Empire, a journey which shows us how women both with and without power cope with Roman society. Ultimately leading to Claudia's failed attempt to save Christ from the Crucifixion. The entire journey however, feels largely superficial. Set into the backdrop of a love triangle that does not appear until almost the second half of the book, most of Claudia's actions and experiences seem to have very little impact on the world around her. Adding on to that, much of the book feels like a collage of unrelated experiences tied to a weak story in which characters fall in and out of love for almost no reason. While the characters we meet are all very interesting in and of themselves, May barely delves any deeper than the surface of these side characters. Characters like Livia and Miriam, both powerful women who in many ways embody the spirit of independence that Claudia craves seem like cardboard cutouts of themselves, only used to move the plot along. Claudia herself is also a seemingly flat character, rushing along from event to event, reacting in the same basic way, never gaining insight from her experiences, satisfactorily achieving her goals, or changing anything through her visions. Perhaps this is what May wanted us to learn from her novel: Roman women, trapped in an oppressive society, could do little to exercise power, and for all their rushing around were unable to accomplish anything at all, neither through their own abilities nor through the intervention of gods. Claudia Procula (or Procles) was the wife of Pontius Pilate and accompanied him to Judea during his prefecture there (from 26 to 36 CE). Little verifiable fact is known about Pilate's wife and, despite this, May has created a vibrant novel which succeeds in bring Claudia to life. Pilate's wife is mentioned in the Gospel of Matthew 27:19: “When he was set down on the judgment seat, his wife sent unto him, saying, Have though nothing to do with that just man: for I have suffered many things this d Claudia Procula (or Procles) was the wife of Pontius Pilate and accompanied him to Judea during his prefecture there (from 26 to 36 CE). Little verifiable fact is known about Pilate's wife and, despite this, May has created a vibrant novel which succeeds in bring Claudia to life. Pilate's wife is mentioned in the Gospel of Matthew 27:19: “When he was set down on the judgment seat, his wife sent unto him, saying, Have though nothing to do with that just man: for I have suffered many things this day in a dream because of him.” Throughout the novel, May presents a wildly unorthodox version of Jesus's life: Her Jesus studies in the Temple of Isis; he marries a rich prostitute in an ecumenical wedding that blends Egyptian and Jewish traditions; he's given a sleeping potion to fake his death on the cross. Of course, such inventions are all within the novelist's right but will definitely not sit well with those of Catholic and/or Christian faiths. This novel is set during the reign of the Emperor Tiberius, and the history provides the frame for the fiction. The story of Claudia provides some insight into the lives of women of privilege as it does also of the intrigue and cruelty of Rome. Claudia herself is depicted as an interesting and at times a fickle character capable of kindness but also of short-sighted impulsive actions. Though blessed with the ability to see the future, Claudia never manages to prevent the tragedies she foresees. May is at her best when unencumbered by literary or historical precedent; Claudia's sister, the unwilling Vestal Virgin Marcella, for example, is better realized than the shallowly rendered Caligula, and descriptions of Antioch and Caesarea are more compelling than those of well-known locations like Pompeii. Claudia’s marriage to Pilate, her infatuation with a gladiator, her brushes with Empress Livia (mother of Tiberius) all make for interesting reading. While I was not always sympathetic to Claudia, I was fascinated by her life as depicted in this novel. Well, this was a steaming pile of poo. So in the Bible, there is one (unnamed) mention of Pilate's wife. PW (as I will now refer to her) was later named Claudia by someone in 1619--so yeah 1600 years later, get a name. So Antoinette May decides that Claudia was from the Claudia house (family of Julius Caesar EDITED: Actually, although his fam is often referred to as the Julio-Claudio family, Claudia would have been only related to Tiberius, the son of Livia by her first marriage, not to Julius's f Well, this was a steaming pile of poo. So Antoinette May decides that Claudia was from the Claudia house (family of Julius Caesar EDITED: Actually, although his fam is often referred to as the Julio-Claudio family, Claudia would have been only related to Tiberius, the son of Livia by her first marriage, not to Julius's family) and pretty much makes up a huge twisted and chaotic story about her, Isis, and Pilate, and Tiberius and Nero. You know what would have helped her, reading ANY book about Roman culture. Pick one. ANY ONE. ETA: For one thing, daughters didn't get really their own names. They were just given the feminine of their family's name with an ordinal of some sort. Sometimes a nickname. That's why you have a plethora of Julias and Agrippinas. There's so many omigod historical inaccuracies in this book that it honestly makes your head ache. Then the plot is just dumb. Really dumb. And wow. PW becomes an acolyte for Isis, a Roman socialite, a mistress of a gladiator, oh and stand in for Ariadne during a seriously whacked out Dionysus mystery that only existed for salacious details. It's just a bad book. Really really bad. This review has been hidden because it contains spoilers. To view it, click here. This novel was a quick and easy read, but had flaws that bothered me throughout the novel. This novel tells the story of Claudia, the wife of Pontius Pilate. If you're hoping for new insight into Pilate's connection to Jesus then you're not really going to get it here. Jesus appears a couple of times briefly in the book and a couple of events in his life are alluded to, including obviously the crucifixion, but mostly the events are revolving around Roman life and politics as it tells the story o This novel was a quick and easy read, but had flaws that bothered me throughout the novel. This novel tells the story of Claudia, the wife of Pontius Pilate. If you're hoping for new insight into Pilate's connection to Jesus then you're not really going to get it here. 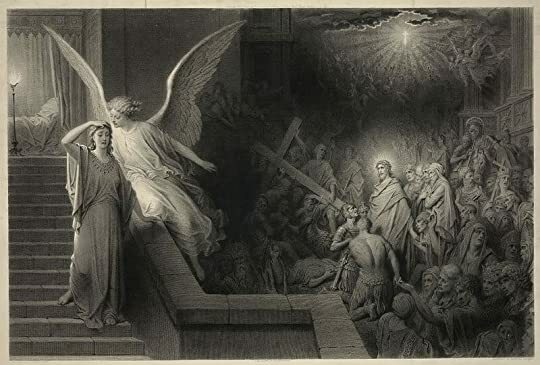 Jesus appears a couple of times briefly in the book and a couple of events in his life are alluded to, including obviously the crucifixion, but mostly the events are revolving around Roman life and politics as it tells the story of how Claudia marries Pilate and their life together. This was an OK read. I bought it so I could learn more about Roman History. The story is very fictional. It covers Claudia, the wife of Pontius Pilate's life. The positive is that this book opened up a lot of conversation with my Christian friends who study the bible (I have not, so I had many questions.) I googled a lot throughout this read. The author covers many debatable areas of Jesus' life. Did he go to Isis' Temple in Egypt? Did he marry a prostitute? I found many areas to be far-fetched, This was an OK read. I bought it so I could learn more about Roman History. The story is very fictional. It covers Claudia, the wife of Pontius Pilate's life. The positive is that this book opened up a lot of conversation with my Christian friends who study the bible (I have not, so I had many questions.) I googled a lot throughout this read. The author covers many debatable areas of Jesus' life. Did he go to Isis' Temple in Egypt? Did he marry a prostitute? I found many areas to be far-fetched, like when Claudia was initiated into Isis' world and when Livia forced Claudia into the Villa of Mysteries. I know the Romans had sacrificing rituals, but it seemed the author was going for shock value. The premises of this book is that Claudia has insight through her dreams. She advised Pilate to not get involved with Jesus, which as most people know her dream didn't come true. This review has been hidden because it contains spoilers. To view it, click here. I really don't recommend this book unless you have unlimited time for reading. It is an ok book, but JUST an ok book and there are so many better books out there. I don't like the main character, Claudia. She is headstrong and willful, and while she started out as honorable and brave, by the end of the story she is just self-centered, doing whatever she wants no matter who she may hurt, and not learning from her, or others, mistakes. Also, the book crosses the line from historical fiction, whi I really don't recommend this book unless you have unlimited time for reading. It is an ok book, but JUST an ok book and there are so many better books out there. Another perspective on the life and times when Jesus lived. This was riveting! A most pleasant surprise! Thoroughly researched, nicely written and filled with details of ordinary life, this debut novel sets up the historical, political and cultural factors surrounding the Jesus story. Vivid and shocking, the story feels new in this retelling. Claudia (who becomes Pilate's wife) meets a young Jesus at a temple to Isis in Egypt and encounters him again much later as he enters Jerusalem in triumph. C Another perspective on the life and times when Jesus lived. Thoroughly researched, nicely written and filled with details of ordinary life, this debut novel sets up the historical, political and cultural factors surrounding the Jesus story. Vivid and shocking, the story feels new in this retelling. Claudia (who becomes Pilate's wife) meets a young Jesus at a temple to Isis in Egypt and encounters him again much later as he enters Jerusalem in triumph. Claudia appears as a guest at the wedding in Cana - which is interpreted in great detail and expands the account from my Bible in a most intriguing way! I teach middle-schoolers in Sunday school and this novel really expanded the biblical details that provide set-up of the scenario that led to the birth of Christianity. I plan to use it as a reference when I am preparing lessons. I'm not sure how I felt about this novel. On the one hand I enjoyed it and the other hand (as far as historical fact go) I thought it a pile of s**t. Not very much is known about Pilate's wife except for the reference in the Gospel of Matthew 27:19: “When he was set down on the judgement seat, his wife sent unto him, saying, Have thou nothing to do with that just man: for I have suffered many things this day in a dream because of him.”. The author has re-imagined a history of Claudia and Pontius I'm not sure how I felt about this novel. On the one hand I enjoyed it and the other hand (as far as historical fact go) I thought it a pile of s**t. Not very much is known about Pilate's wife except for the reference in the Gospel of Matthew 27:19: “When he was set down on the judgement seat, his wife sent unto him, saying, Have thou nothing to do with that just man: for I have suffered many things this day in a dream because of him.”. The author has re-imagined a history of Claudia and Pontius Pilate. She tells the story of Claudia from the time she is a young girl who has prophetic dreams, her fascination with the cult of Isis, marriage to Pilate and his subsequent posting to Judea. Christians would be horrified at the author marrying Miriam (Mary Magdalene) and Jesus. On the whole a good piece of entertainment and an easy read but certainly no historical value. Excellent biblical/historical fiction! Thanks a lot to a dear friend who lent it to me! Brilliant story-telling. Interesting details and viewpoints. This book would be fun as a Bible study, or at least a book club to discuss and find out what others think about it. Enjoyed this thought provoking read. While this book was well written, I did not really enjoy it. However, because the reason I didn't like it is personal, and the author has a right to write what she chooses, I couldn't give the book a lower rating and be fair to her. The story about Claudia's childhood and early years with Pilate is interesting and enjoyable. The author writes well, drawing you into the story and making you wonder what will happen next. I enjoyed reading the first 2/3-3/4 of the book. Howe **Some spoilers included. The story about Claudia's childhood and early years with Pilate is interesting and enjoyable. The author writes well, drawing you into the story and making you wonder what will happen next. I enjoyed reading the first 2/3-3/4 of the book. However, when Claudia and Pilate go to Judea and their lives intersect with that of Jesus, I did not appreciate the point of view that the author took. She decided to follow Dan Brown and "The Da Vinci Code" and write a story to cause shock and scandal rather than the widely known Biblical version of the story. She had Jesus search for his "god" in Egypt (and hints at other searching) before beginning finding his Heavenly Father. Miriam, aka Mary of Magdala, is a follower of the goddess Isis, and although she becomes a follower of Jesus, it is strongly suggested that she is also still a devotee of Isis. Furthermore, the author has Miriam marry Jesus at the wedding in Cana where Jesus turned water into wine. I know that authors will often rearrange and fictionalize historical events for the sake of their storylines, and in this case the author had the wedding take place well after Jesus began his ministry, and after John the Baptist was beheaded, when it was actually the start of his ministry and his first miracle. To my surprise, at the end of the story, in spite of Miriam's and Claudia's efforts to save Jesus by making it look like Jesus was dead while just in a coma so he could be healed secretly after the crucifixion, the book did admit that he actually was killed by the Romans, in spite of the women's efforts. Claudia sudah dibesarkan di tengah arus politik kuat kerajaan Romawi pd masa Tiberius. Ayahnya adalah pengikut setia Germanicus, sepupu raja yg lebih dihormati rakyat ketimbang kaisar sehingga menimbulkan kecemburuan. Dgn jalinan intrik akhirnya Germanicus berhasil disingkirkan, tetapi api perjuangannya tidak pernah padam diperjuangkan oleh istri dan anak²nya serta pengikut setianya. Sedangkan Claudia hrs menyaksikan satu demi satu orang yg dicintainya disingkirkan. Cintanya pd Pilatus jg kandas Claudia sudah dibesarkan di tengah arus politik kuat kerajaan Romawi pd masa Tiberius. Ayahnya adalah pengikut setia Germanicus, sepupu raja yg lebih dihormati rakyat ketimbang kaisar sehingga menimbulkan kecemburuan. Dgn jalinan intrik akhirnya Germanicus berhasil disingkirkan, tetapi api perjuangannya tidak pernah padam diperjuangkan oleh istri dan anak²nya serta pengikut setianya. Sedangkan Claudia hrs menyaksikan satu demi satu orang yg dicintainya disingkirkan. Cintanya pd Pilatus jg kandas setelah mengetahui perselingkuhan Pilatus dan Claudia membalasnya dgn berselingkuh pd gladiator paling tersohor di Roma. Hingga penugasan Pilatus sbg Gubernur Yudea, Claudia bertemu kembali dgn teman lamanya, Miriam di Magdala. Ketika Miriam menikahi Yesus, Claudia menyadari bhw inilah pria yg dimimpikannya mengenakan mahkota duri. Membaca buku sejenis historical-fiction seperti ini, membawa saya untuk mengenal satu lagi sosok yang berada di balik seorang Gubernur dari Roma : Pontius Pilatus. Namanya Claudia, melalui sejarah yang dipelajari oleh May kemudian membalutnya dengan kisah fiksi, tentunya buku ini mengajak pembaca untuk mengenal tragedi sejarah di masa lampau. Terutama ketika bangsa Romawi tengah berada di atas angin. Buku ini dibagi menjadi IV bagian, masing-masing bagiannya berisi bab-bab yang menggunakan plot m Membaca buku sejenis historical-fiction seperti ini, membawa saya untuk mengenal satu lagi sosok yang berada di balik seorang Gubernur dari Roma : Pontius Pilatus. Namanya Claudia, melalui sejarah yang dipelajari oleh May kemudian membalutnya dengan kisah fiksi, tentunya buku ini mengajak pembaca untuk mengenal tragedi sejarah di masa lampau. Buku ini dibagi menjadi IV bagian, masing-masing bagiannya berisi bab-bab yang menggunakan plot maju. Bagian awal adalah bagaimana kehidupan Claudia, bagian selanjutnya adalah kehidupannya menjadi istri sang Pilatus hingga kemudian baik Pilatus dan Claudia sama-sama belajar untuk menerima keberadaan masing-masing. Untuk terjemahannya, saya tidak mengalami masalah. Karena cukup mudah dan ringan. Sehingga tanpa sadar, buku yang dalam versi terjemahan ini berjumlah 540 halaman dapat selesai dengan cepat. i didn't love this book, but i wouldn't say it was bad. from a fictional stand point the story was well rounded, however some chapters seemed to drag on for far too long and it felt like a chore reading it. i will say though, that i loved the author's writing style and will check out her other novels. inaccuracies aside, i would recommend this book to anyone interested in historical fiction or coming of age. What a find. This book is about Claudia, the wife of Pontius Pilate during the reign of Tiberius. I like how it gave you a feel of the times; marriage, diverse religions, politics but not to extremes. At the back of the book had an historical background which the historical fiction lover in me appreciated. I love historical fiction. The story of Claudia was an impressive mixture of research and imagination in which Claudia, set in a world of political intrigue, passionate family rivalries and alliances, assassinations and political/social upheaval, captures the spirit of the Roman Empire (which was not holy). I thought I would learn about Pilate's wife and of course his and her place in history. Some interesting spots with Jesus, the rest not very interesting. Maybe you will feel differently. Enjoy! an interesting story. I know alot of folks focus on the historical accuracy/of the character. I was more interested in the telling of a story. I very much enjoyed it. Fascinating novel that takes you back to ancient Rome. Not as good as it could have been but certainly worth reading.